“KO” Towing stands for “KNOCKOUT” Towing. And that is our promise to you: whatever you need, we can knock it out for you! KO Towing is the only name you need to know for any kind of towing issue anywhere in greater metropolitan Louisville and beyond. KO Towing is the only affordable towing service you will ever need in Louisville and beyond! We'd like to explain to you how and why a 24 hour towing service like KO Towing is the best towing company in Louisville. If you look through our SERVICES section, you will see that we perform a variety of services you might not immediately associate with traditional towing. We maintain a fleet of trucks that allows us to handle any and every transport job you could imagine, from towing cars to moving huge machinery and more! 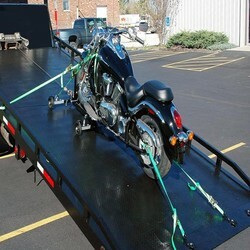 A flatbed wrecker is one of the safest ways to transport your vehicles. When you Google "towing service near me" you'll discover that KO Towing ranks very highly as a Louisville flatbed towing service. 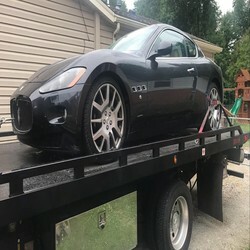 This is partly due to our towing prices and wrecker services being very competitive and our towing service is fast and affordable. 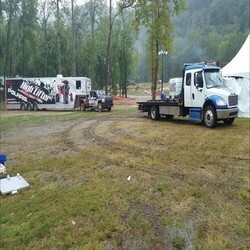 It doesn't matter how difficult your towing or moving dilemma is. Whatever you need, we will knock it out! Our late model flatbed trucks transport your vehicles with great care and safety, no matter how large. 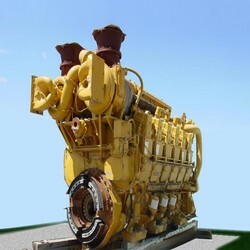 We are known for accomplishing whatever mission is assigned to us with a 100% proven track record. We knock it out! 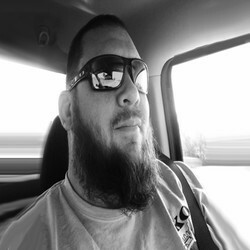 When you Google Emergency Towing Near Me, or Emergency Towing Louisville, you will immediately find that KO Towing is one of the most respected companies in the business! Naturally, we routinely provide towing for breakdowns, help customers with lock-out conditions and dead batteries, but we also do much more. 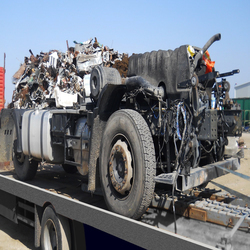 Again, our "Services" section will provide you with a remarkable variety of ways KO Towing can help you and your company quickly accomplish larger-than-life missions involving cargo, machinery and all kinds of vehicles. We even help with junk car towing. Our operations base is in Louisville and we routinely service the entire metropolitan area. 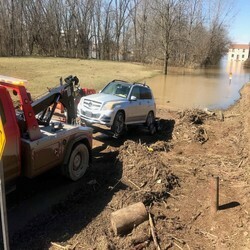 Throughout Louisville, folks needing service in La Grange, Mount Washington, Taylorsville, Shepardsville, Corydon, Palmyra, Salem, Shelbyville, Waddy, Frankfort, Eminence, New Castle, Bedford and beyond can count on KO Towing to attend to their emergency needs just by calling (502) 548-7024. 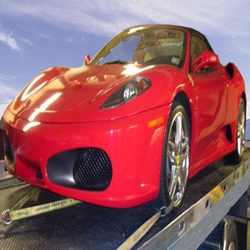 KO Towing is well known and respected among Louisville towing companies. When called for, KO Towing will also transport vehicles and cargo across country. 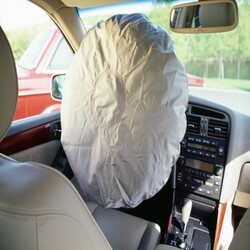 It's hard to predict all the dilemmas one might run into out on the roads and highways. 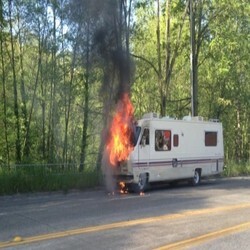 KO Towing is ready to rush to your assistance no matter what issues erupt. 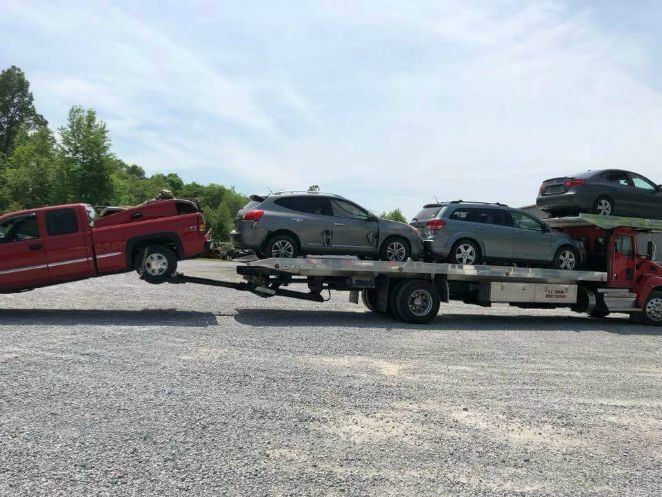 If towing becomes necessary, a flatbed wrecker is one of the safest ways to transport your car. 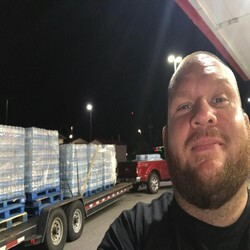 People accidentally run out of gas all over the country and KO Towing can tell you that in the Louisville area, it happens several times per day. Not to worry . 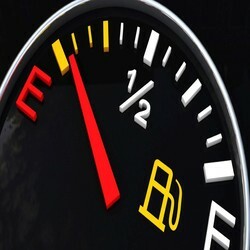 . . KO Towing is ready to come to your rescue and provide you with the fuel you need to get back up and running. 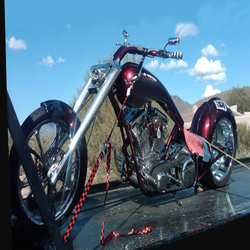 We are a wrecker service that offers more! 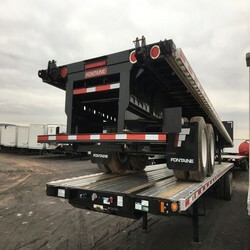 There are many situations where having the proper sized flatbed tow truck available is just the right solution for your transportation requirements. Tire technology has advanced over the years and blowouts have been reduced. Nevertheless, tires do wear out, go flat and can cause problems. Some folks who haven't changed tires in years find themselves hard pressed to know if they even have a spare tire on board much less know where the jack and other tire change compartments are in today's high-tech cars. 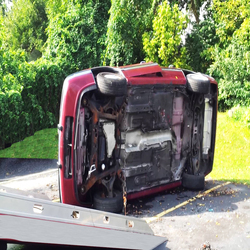 Not to worry, KO Towing will get you back on the road, up and running quickly and efficiently! Because KO Towing is an affordable towing service, your wallet will be happy, too! Thousands of times, everyday, people accidentally get locked out of their cars. 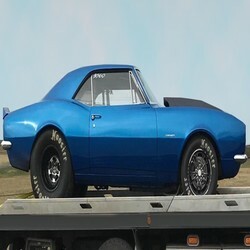 KO Towing is trained in advanced lock-out remedies for every model of car and truck and can come to your rescue. 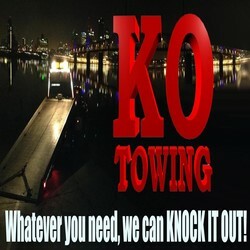 Because KO Towing is a 24 hour tow service, you can call anytime you get into trouble and KO will knock it out for you! Did your battery die on you? It happens. 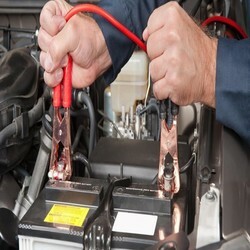 Batteries do eventually wear out and even good batteries can go dead if a light is left on in the car or some other battery drain takes place. 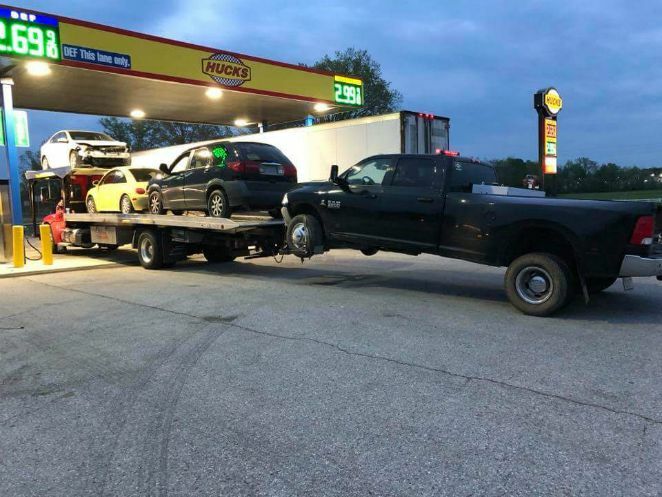 This is no problem when you have the power of KO Towing in Louisville to come to your rescue. They will get you up and running like it never happened! 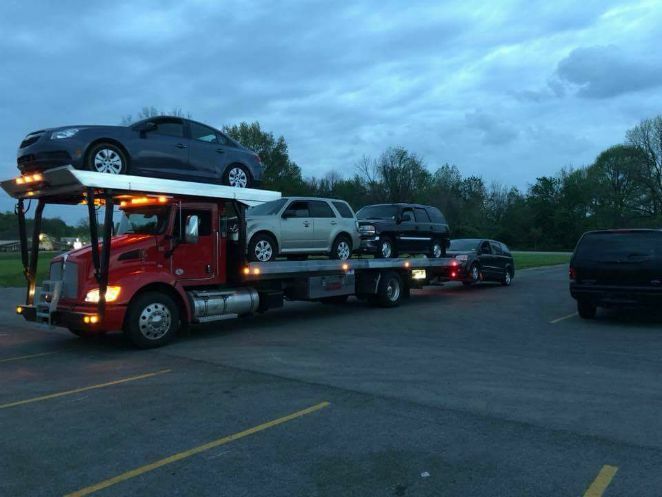 You'll discover why we are such a highly rated auto towing service in Louisville! 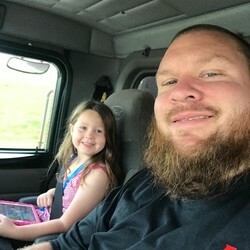 After calling multiple wrecker servicer providers K O, not only answered the call, but also provided a reasonable time frame to pick up a vehicle. I was with the non starting stranded vehicle, they arrived before the stated time frame, which was greatly appreciated in the freezing morning weather. The driver was curitious and efficient in loading, transporting, and unloading my vehicle. They accept credit card payment, with paperless receipt, billing was simple. Everyone I spoke with, over the phone or in person was respectful, the customer service was excellent. Highly recommend this company! Steven Jones was my towing guy. AWESOME is not near enough praise. He insisted that I get out of the heat and was hydrated. He also called frequently to give me ETAs on his arrival time. His customer service was just amazing on what was an incredibly crappy day.